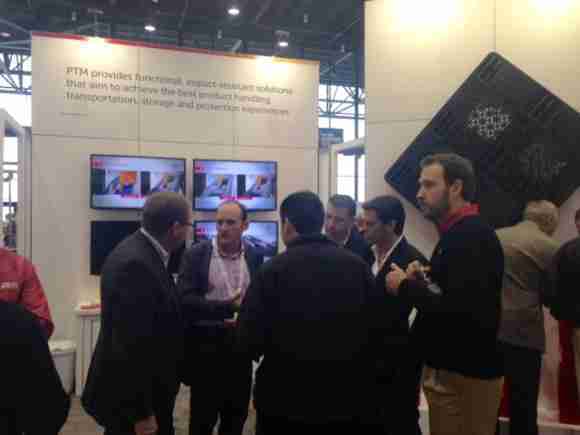 PTM reports robust PACK EXPO Show experience with strong interest in ULTRA PALLET. With more than 37 years in the market, PTM has a solid reputation of serving plastic pallet and crates customers in industries such as food and beverage, automotive, and retail. Now more than one year after their first PACK EXPO show in Las Vegas, interest in PTM and ULTRA PALLET continues to grow. 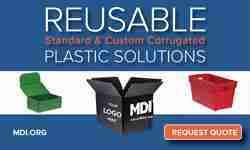 The company reports having enjoyed a highly successful exhibition at PACK EXPO 2014 in Chicago. In recently months the company has also issued a number of announcements with respect to customer wins from companies such as Heineken and Coca-Cola FEMSA. Participation at PACK EXPO and the Reusable Packaging Pavilion are very important to PTM, explains Onofre Costilla, the company’s Marketing Manager & New Business Development. “It is very important for PTM to be able to speak with industry leaders about their needs and be able to work together to deliver the best material handling solutions available. The Ultra Pallet received very good comments and has been a success story to our customers that have been using it for the last years. 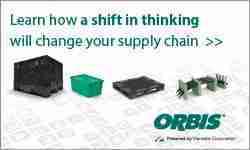 “Pack Expo 2014 allowed us to showcase the benefits of our ULTRA PALLET and we have received many inquiries about it after the show,” Onofre adds, noting interest in particular from the food and beverage sector, as well as automotive industries. 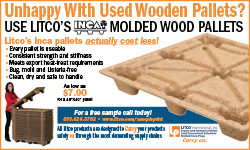 Onofre indicates that whether coming from a wood pallet environment or from a plastic pallet experience, in either case pallet decision makers are looking for a more long-lasting pallet. “Some customers are saying that they need a more robust pallet and our ULTRA PALLET is the most durable pallet in the market today, with up to 100 trips,” he stresses. ULTRA PALLET is currently in use in eight countries, including Mexico, the U.S., Colombia, Panama, Argentina, Nicaragua, and Costa Rica.PTM bases its business model on three strategic pillars: innovative design that protects and promotes its customers’ products; operational excellence that assures a high level of competitiveness, compliance, efficiency, and quality; and sustainability through the use of recycled materials. For more information on PTM and the ULTRA PALLET, visit http://www.ptmsolutions.com/us/.